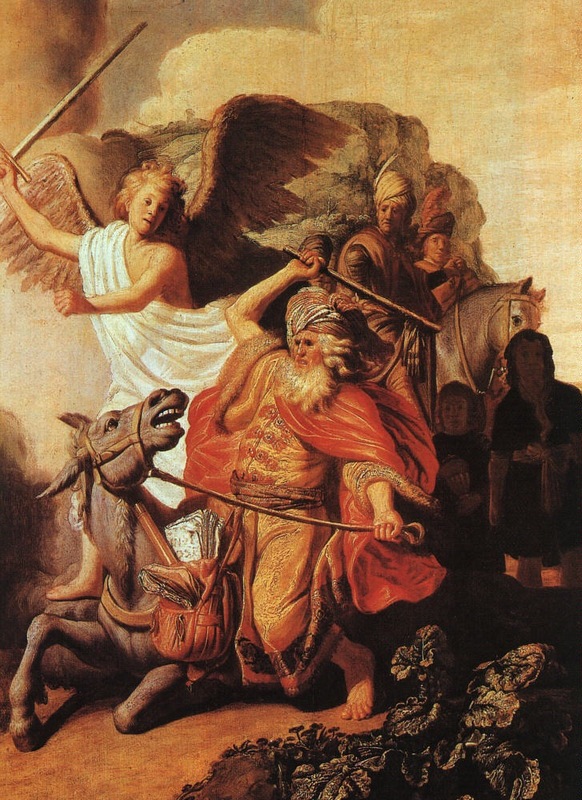 Balaam encounters the angel of the Lord. Note the spellbook in his saddle bag. Miss cat yronwode has urged me to post the powerful and sharply pointed version of this prayer I offered on the December 3 edition of the Lucky Mojo Hoodoo Rootwork Radio Hour: “Political Magic with Miss Michaele.” You will find the text here. Some time ago, I heard this from a self-employed (and successful), non-church-going gay man, whose parents disapproved of all these aspects of his way of life. I know that [my father] prays a lot, and I know that [my mother] gives out a milder version of the evil eye like some sort of Jinx-O-Matic. I’ve had the fact that his prayers affect me and that she evil-eyes me confirmed by divination, and also by the fact that any time she decides to get upset about something, it feels like someone has cursed the living crap out of me. Recall the story of Balaam, who attempted to curse Israel three times because he had been hired to do so. Your parents are jinxing you, as you well know, because they believe it is right to do so. Anyhow, Balaam was unable to curse Israel; he blessed them three times instead, because God’s power overcame him. You’ll find the whole story in Numbers chapters 22-24. And the angel of the LORD said unto Balaam, Go with the men [sent by King Balak]: but only the word that I shall speak unto thee, that thou shalt speak. So Balaam went with the princes of Balak. — But instead of “Timothy,” say your own name. A concordance or searchable online Bible will yield many other verses to bless yourself with. Of course, you don’t need as many as I have quoted here. You can follow such a verse with more verses that apply to your condition. 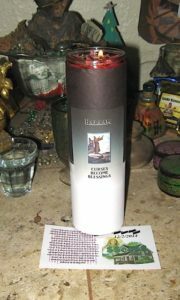 You can also order one (or several) Balaam candles burned on the altars at Caroline Dye Memorial Chapel. An effigy — a decoy doll baby — is a good idea, and so is a full-out campaign of reversing work. You can pray the Bible verses above by the light of Reversing candles. Let them have a taste of their own medicine, by all means. Of course, they don’t need to know where it comes from. Thank you for this. My husband and have struggled to rid ourselves of his ex wife who has jinxed his money which has hurt mine. I do all I can but this blog speaks to me. I know I need my husband to do what I do to get “clean”. I burn Lucky Mojos Money House Blessing Candles with great success. I’m on my 2nd one in a year. I’m glad to hear this, Angelica! I hope you’ll be able to shut down your particular Jinx-O-Matic. Thanks. Much appreciated. Michael D is now part of my work.